Free high resolution close up photo of a blooming sedum plant. 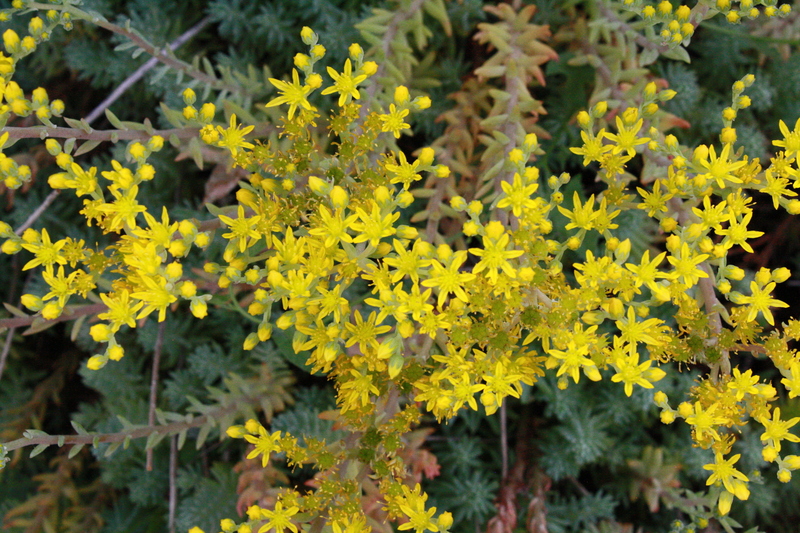 This picture shows the tiny yellow flowers on a silver stone sedum plant – also sometimes called stonecrop. Sedum is a garden succulent that is perfect for rock gardens or xeriscapes (low water landscaping). Silver stone sedum blooms in the summer with bright yellow flowers. Free image for any use.